Go Kart, Mini Bike, Lawn Mower, or Roto-Tiller. Piston with rings, connecting rod, gaskets and seals, valves. Piston comes in STANDARD. Rod comes in STANDARD. This rebuild will fit models. 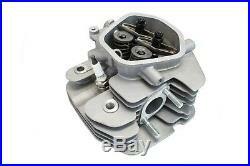 BRIGGS & STRATTON 130200, 130400, 131200, 132200, 132400, 133200, 135200, 135232 and 136200 5 HP Horizontal Engines. Please note that the suffix does not matter on the engine model number. Example: 130200 is the same as a130202, 130204 and so on. Anybody can rebuild their own engine in a few hours when you have all the parts. The kit comes with. 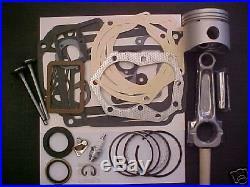 Gasket Set – Replaces B & S 495603 I send the gaskets to cover your model number only. 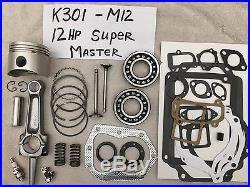 The gaskets in the picture is a file picture and I do not change the picture after every sale. The picture represents several different 5hp model numbers and you get for your model only. Oil Seal – Replaces B & S 299819. Oil Seal – Replaces B & S 294606. 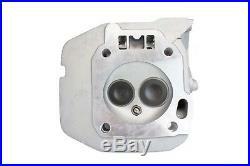 Exhaust Valve – Replaces B & S 211119. 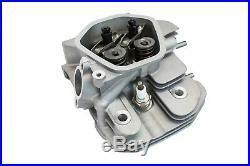 Intake Valve – Replaces B & S 261044. 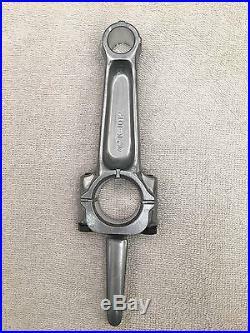 Connecting Rod – Replaces B & S 299430. 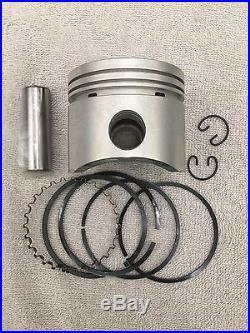 Standard Bore Piston Assembly – Replaces B & S 298904 (Includes: Piston, Piston Rings, Wrist Pin And Wrist Pin Keepers). I also give you the torque specs for the piston and rod. Please note because of crazy people. 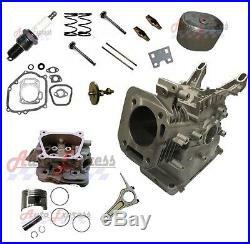 The picture represents parts to cover all 5hp engines, You will only get the parts needed to rebuild your model number. 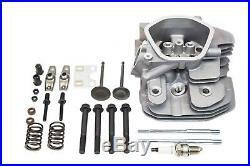 The kit does not get you a new engine block, new head, crankshaft, cam, valve inserts what ever that is? Valve seals, valve guides, nuts bolts, washers, no electrical parts, no pull rope, no cans of spray paint, no decals or any tools required to rebuild your engine, no tune up, you also do not get the black cloth that I used as a back drop. This is getting out of hand with crazy people demanding free stuff that I do not have. The description CLEARLY tells you what you are getting and do not assume you are getting any more. 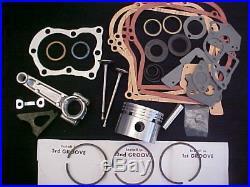 This is just a common rebuild with valves, required gaskets with 2 oil seals, piston set with rings and rod. 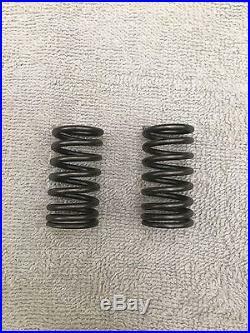 If you look at the picture and you are seeing or think you are seeing cranks, cams, valve seats or any other crazy thing that is not clearly spelled out in the description, do not be disappointed when it is not there. 5HP Briggs cylinder Bore is. I also have availble in piston sizes std. 020, od in std and. Yes we use the same parts we sell and our feedback tells about the quality. I will even give you the torque specs. Get Vendio Gallery – Now FREE! Try the all-New Andale Gallery. Now with “Smart” Features. 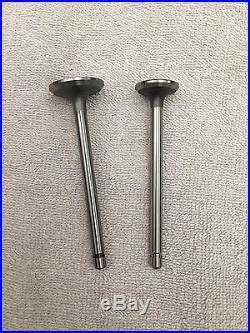 The item “For 5HP, 5 horse power, for Briggs and Stratton rebuild Std Bore, Rod, Valves” is in sale since Thursday, November 21, 2013. This item is in the category “Home & Garden\Yard, Garden & Outdoor Living\Lawnmowers\Parts & Accessories”. The seller is “bakt4kids” and is located in Wauseon, Ohio. This item can be shipped worldwide. Very last resort to state sizes by calling me at 419-337-1548 8am till noon eastern time. We are by far the best value. We are offering this kit on. They go on mowers and pulling tractors all over the world! 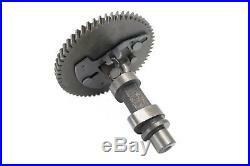 This is for all the k301 and m12 kohler engines, which means that it will fit all the k301s regaurdless of the suffix. 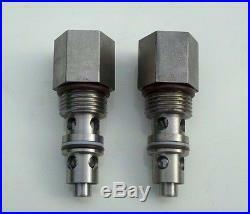 These are customized by myself so the kits is made to meet your engine rebuilding needs. I will beat anyones price. 12 hp k301 kohler engine rebuild kit. With tune up and. Customized to meet your engine rebuild needs…. Kit includes: everything to make. Kit includes the following. Standard. 010 over. 020 over and. Wrist pin and keepers. Connecting rod comes in. We also have in. 020 for $20.00 extra. New set of points. Kohler engine rebuilding manual. No one else gives you this but me! You will need to. 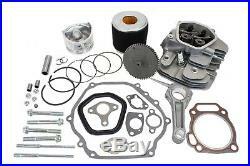 This is a customized kit to kit your engine rebuilding needs. These measurements are not for machine shop referance. The machine shop must have the new piston before they can bore the cylinder. 1.500 you get a std or. If you want a. If you ask for a. 020 rod and do not pay for it, i will send a. 020 is $20.00 extra if you do not pay for the. No more, no less. Anybody can rebuild a kohler engine themselves. (head 25-30 ft lb and rod 260 inch lb). Instruction manual on how to rebuild your kohler engine. I will also give the instructions on how to properly install your connecting rod. (oil hole goes towards the cam). The most common reason for premature engine failure on your rebuilt engine is an improper rod installation. 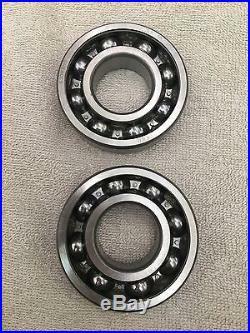 Crank bearings are $45.00 for two -available in my store. Valve guides are $15.00 to $20.00a pair extra. Points plunger or also called points pin is $9.00 to 13.00 depending on what my suppier is charging me. 020 connecting rod in place of the std or. Be sure to add me to your. 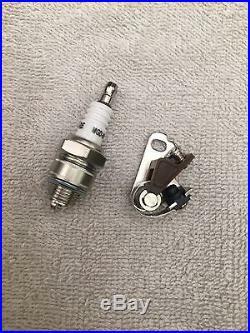 This is all new parts and can not be returned but can be exchanged if wrong size was ordered. Copyright infringements now invoke liquidated damages of $1000.00 per instance. Get vendio gallery – now free! Try the all-new andale gallery. Now with “smart” features.The item “MASTER REBUILD KIT FOR 12HP Kohler, K301 Valves+ tune up” is in sale since Monday, September 02, 2013. This item is in the category “Home & Garden\Yard, Garden & Outdoor Living\Lawnmowers\Parts & Accessories”. The seller is “bakt4kids” and is located in Wauseon, Ohio. This item can be shipped worldwide.